Want tips and info about how to make your business writing more professional? Need ideas for your newsletter? Sign up for my free email newsletter now. Because the next issue is out this week! This entry was posted in Grammar, Newsletters, Press Releases, Social Media Marketing, Web Copy on November 30, 2015 by kellykoepke. Friday tip: Everyday is an adjective meaning commonplace or ordinary. Every day refers to each individual day. Wearing jeans is my everyday wardrobe. I drink tea every day of the week. This entry was posted in Friday tip, Grammar on November 27, 2015 by kellykoepke. Just because it’s a holiday, don’t forget your grammar. Happy Thanksgiving everyone. This entry was posted in Grammar on November 26, 2015 by kellykoepke. 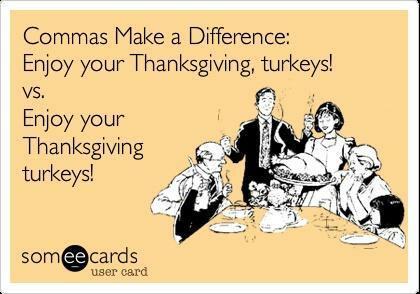 Happy almost Thanksgiving! A little Wednesday chuckle for you. 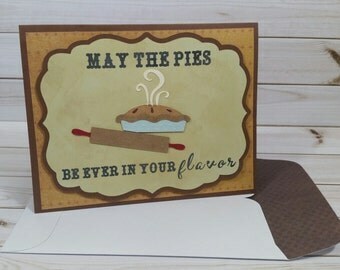 May the pies be ever in your flavor! This entry was posted in Uncategorized on November 25, 2015 by kellykoepke. Black Mesa Coffee Company has been in the media more since working with Kelly because of the monthly press releases she writes and sends for us. That increased visibility is invaluable. She also coordinates our social media presence, something that might not get done if she didn’t do it. She keeps our presence consistent, professional and structured. That’s her gift. Plus, she’s forward thinking, keeps us focused on the future, and is a fun person to work with. This entry was posted in Press Releases, Social Media Marketing on November 24, 2015 by kellykoepke. I love helping small & micro businesses and solopreneurs tell their stories – to their current customers, their potential customers, and to the media. That includes social media – your online network of friends and fans. This entry was posted in Blog, Brochures, Newsletters, Press Releases, Social Media Marketing, Web Copy on November 23, 2015 by kellykoepke. Friday tip: A visual tip this week to figure out when to use who or whom. This entry was posted in Friday tip, Grammar on November 20, 2015 by kellykoepke. 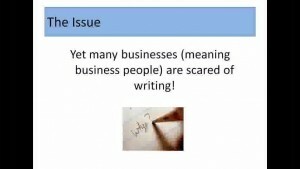 Are you scared of writing? Here are my thoughts on why that is and how to overcome that fear. Watch! This entry was posted in Ghost Writing on November 19, 2015 by kellykoepke. A Wednesday chuckle. Silly definitions to brighten your day. This entry was posted in Uncategorized on November 18, 2015 by kellykoepke. Do your customers know the good stuff happening with you and your business? Your success stories may not seem exciting to you because you lived them. To your customers, those stories are the foundation of your communication with them – sharing, collaboration, and knowing how it all works for you. This entry was posted in Uncategorized on November 17, 2015 by kellykoepke.